John is 11 years old and has a younger sister of 10 months. He was born prematurely and put in the nursery. He was diagnosed with meningitis at the age of 4 months. He later started convulsions. He has cerebral palsy and has limited mobility. He cannot feed himself, walk, sit without assistance. He eats very poorly, is severely malnourished and will require physiotherapy and occupational therapy services. Lawrence is 7 years and only child to a single mother. 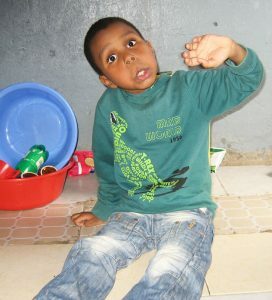 Lawrence started showing disability signs at the age of 5 months. 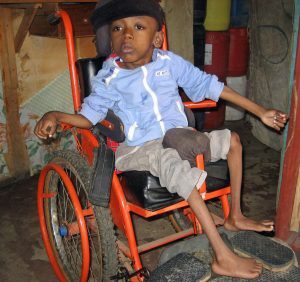 He has cerebral palsy, is autistic and suffers from frequent convulsions. He cannot stand or walk unsupported. Lawrence is unable to speak or feed himself. Needs physiotherapy services.